Our law firm's founder, attorney James Crowson, began his legal career defending insurance companies and health care providers against negligence claims. However, he soon discovered he had a passion for helping individuals secure the compensation and benefits they need to support themselves and their families in the wake of a devastating injury or loss. As a result, he founded his own private practice in North Carolina to serve the interests of plaintiff clients, using his past defense experience to devise more effective strategies on behalf of accident victims. Today, James and his team of experienced and dedicated attorneys continue to seek justice for those in need. Since opening operations in Alaska in 2011, Crowson Law Group has dedicated its resources to helping thousands of Alaska citizens with their legal issues, and we can help you too. If you were injured or lost a loved one due to the negligent or careless acts of another, please contact our law firm for a free case evaluation. See all our areas of practice. Accidents can happen at any time of the day or night. That is why we have someone available by phone 24 hours a day, 7 days a week. We also were one of the first law firms in Alaska to encourage clients to contact us using text messages, for their convenience. Moreover, if you are unable to travel to your in-person consultation, we will come to you! 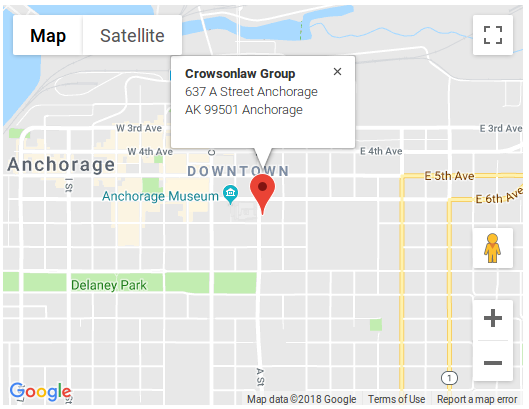 At this time, Crowson Law Group is the only personal injury firm in Anchorage — or anywhere in Alaska — that offers clients online access to their files. 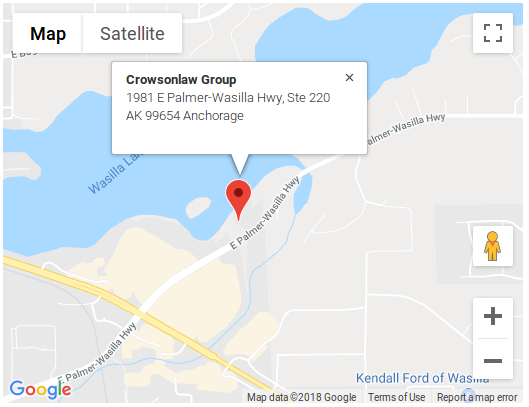 Crowson Law Group attorneys do this through a proprietary client access portal called “My Crowson Case.” My Crowson Case allows Alaska clients to access all of their file materials and case management notes in real time, giving interested clients full access to their complete files. Of course, all the technology in the world is not enough to make an attorney one of the best. At the end of the day, it is responsive people and knowledgeable attorneys that make a firm’s clients happy — and Crowson Law Group has all of this. We encourage you to learn more about our team, our commitment to the community, and why clients choose us!